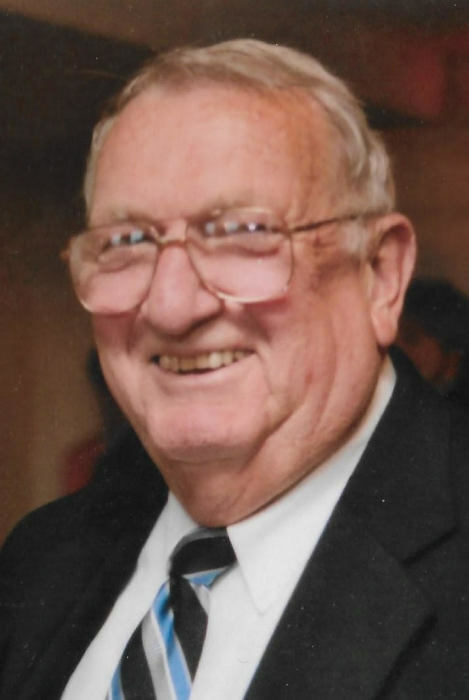 Diamond Point, NY – Herbert Alan Sliter, 85, of Colony Cove Road died Wednesday, November 21, 2018, at his residence, after a brief illness. Born in Troy, NY, Herbert was the son of the late Arthur J. Sliter and Myrtle Little Sliter, and husband of the late Jean Williams Sliter. He was a resident of Diamond Point, NY and Englewood, FL. He was a graduate of Manlius Military Academy before entering Cornell University where he studied Agricultural Business & Marketing. Always willing to serve, he answered his nations call in 1954 and served at the US Army base, in Ft. Sam Houston. Whether it was running a dairy farm or developing brands in the food mart industry, Herb blessed many businesses and employees with honest and self-sacrificing work ethics. He was a Mason and Past Master of the King Solomon’s Masonic Lodge in Troy. Herbert was a long serving and beloved Trustee of the Diamond Point Community Church. Many of his fondest memories were made in his Lake George home, which was dubbed “Herb’s Harem” with numerous friends and family. Herb possessed the highest qualities in life (honesty, trustworthiness, caring and compassion, to list a few). He made a profound impact on anyone that had ever met him. Survivors include his companion, Patricia Balsamo, Englewood, Florida; four daughters, Dorinda Jean Sliter, Lake Luzerne, NY, Jane Marist (Dean Egon) Schreiner, Fort Myers, Florida, Kim Lisa (Robert) Clark, Albany, NY and Lois Charlotte (Keith) Langley, Rensselaer, NY; his grandchildren, Lorinda Lee (Thomas) Gonyo, Chazy, NY, Jennifer Jean (Robert) Kramer, Lake George, NY, Katie Ann O’Keefe, Latham, NY, Morgan Deana (Mathew) Lemos, Fort Myers, Florida, Vanessa Jean Clark, Troy, NY and Brittany and Bradford Langley, Rensselaer, NY; a great grandson, Micah Thomas Lemos, Fort Myers, Florida; a sister, Jane Gorzelnik, Washington, DC; a sister-in-law, Jane (Sue) Sliter, Mt. Prospect, Il. and several nieces and nephews. He was predeceased by two brothers, William A. and John W. Sliter, and granddaughter, Monica L. Clark. Funeral service will be held at the funeral home Tuesday at 10AM and then a memorial celebration of his life held next summer at the Diamond Point Church. Interment will be in Blooming Grove Cemetery, Defreestville, NY. In lieu of flowers donations can be made to the Diamond Point Community Church PO Box 25 Diamond Point, NY 12824.